In the first part of this post, I explored some of the things that you can do as teacher – both in terms of preparation / planning and in terms of actual classroom practice – to help to take lexical self-study material off the page and to bring it to life and make it more real for the students. In this post, I’m going to assume that that message has already been absorbed and am going to move on to talk about what you might do next. 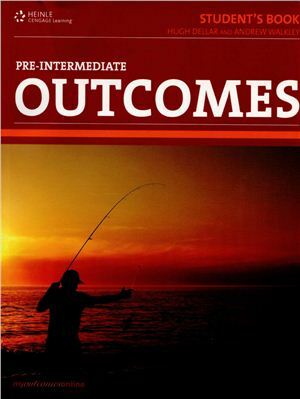 Once you’ve given students time to go through an exercise, you’ve out them in pairs to check their answers, you’ve elicited answers from the whole class and, as you did so, you’ve explored the language in the sentences and expanded upon both the items there and connected bits and pieces. You have a board full of great, connected, whole-sentence fully grammaticalised input . . . and then what? Decide which three of the issues below are the biggest problems in your country. Mark them from 1 (=most serious problem) to 3. Now tell a partner which three issues you chose. Explain why you think they are such big issues, what is being done to address them – and anything else you think could be done to improve the situation. Just this on its own would be quite sufficient for a good fifteen-minute speaking slot in class. I’d give students a few minutes to read through and to ask about any vocabulary they weren’t sure of – there’s bound to be some in the list above. I might then model the task by explaining which of the above I think is the biggest issue in the UK (they’re all contenders, if truth be told, but personally I’d opt for the growing wealth gap! ), why and what’s being done about it. Once I’d stopped foaming at the mouth about the fact my prime minister is currently at an EU meeting to lobby for the right to ignore Europe-wide restrictions on bankers’ pay whilst more and more of the people he’s supposed to be looking after are increasingly reliant on food banks, I’d then put students in small groups of two and three and get them to discuss their own ideas. A lot of men are frustrated with their l………… in life and then drink and end up t……………… it out on their wives. 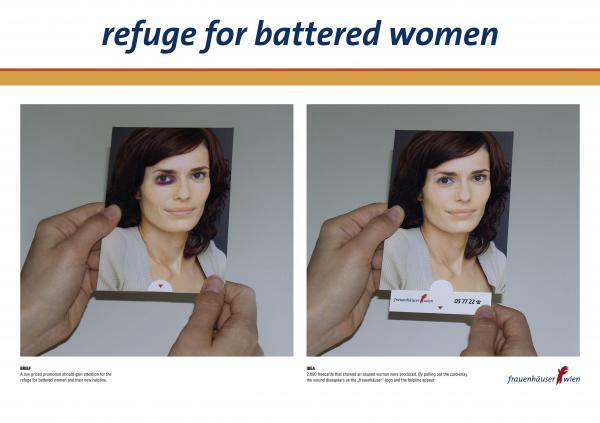 A lot of women f…………….. their homes and end up in r……………… for battered wives. Unemployment has r………………… over the last couple of years. Loads of people are moving abroad in s………… of work. We’re being f…………….. / s…………… with immigrants. It’s causing serious f………………. in lots of areas. To elicit the missing words, I’d basically paraphrase / retell the things I’d heard by saying things like this: A lot of people are unhappy with where they are in life they’re unhappy with their position, with what they’ve achieved, so they’re unhappy with their MMM in life. Anyone? No? They’re unhappy with their lot in life. And they drink and get angry and come home frustrated and they’re angry at the world, but they hurt their wives instead. They feel angry and frustrated, but don\’t know what to do with that anger, so they MMM it out on the ones they love. Yeah, right. They TAKE it out on them. And as a result, some women escape from the family home, like people MMM a disaster or MMM a war. Anyone? Yes, good. They FLEE and they end up in special buildings where women who have been beaten up – battered women – can hide and be safe from danger. These places are called? No, not refugees. Refugees are people who have to flee their own countries. The places are called REFUGES. Where’s the stress? yeah, REFuge, but ReFUgee. Good. Can you think of a time when law and order completely broke down in your country? What sparked it? How long did it last? 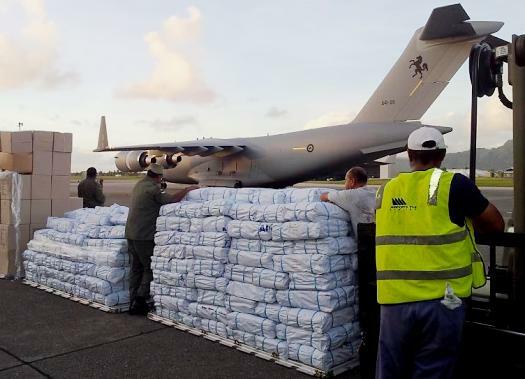 Why do you think some people might not agree with aid agencies providing emergency relief? What do YOU think about it? Can you remember any news stories from the last few months about an area needing emergency relief? Why? What happened? Can you think of anyone who’s been arrested for inciting violence or racial hatred? What happened? Would you like to be a social worker? Why? / Why not? With any of these, again I’d give them a minute or two to read through and ask questions about. I’d model and I’d then listen in and find things to rework, before ending up by reformulating student output on the board. If you’re not sure of your ability to hear things in the moment and to think of better ways of saying things, you can always cheat by doing exactly what I did above and plan in advance things you think students MIGHT or COULD say, decide the best words to gap, and then simply write these up whilst monitoring. You can begin by saying OK, here are some things I heard some of you saying. Fools them every time! In the third and final post in this little series, I’ll outline some other things you could get students to do with an exercise like this. This post is essentially a response to a request by one the blog’s readers, Patrick Gallagher, who emailed me recently and asked for ideas on using material that’s essentially written for self-study in the classroom. 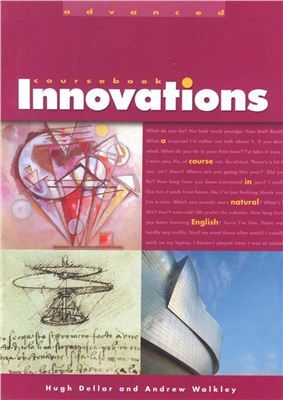 Now, initially I was struck by this because, naturally, as a coursebook writer, my immediate reaction is simply to ask why on earth you’d need to bring this kind of material into the classroom when there are already great lexically-rich materials out there written specifically for everyday classroom use. However, as I thought about it more, it occurred to me that there’s actually a fair bit more decent lexically-oriented material geared towards self-study than there is geared towards explicit classroom study, and maybe this fact shouldn’t surprise. The Headway / English File atomistic structural grammar syllabus still dominates and within this framework, vocabulary is not only treated very much as second best, but is also all too often limited to a focus on single words or, at best, collocations. The harsh reality is that it’s hard to get lexically-rooted material into class as the main focus, so I guess many teachers out there get round being shackled with a coursebook they may not particularly believe in or have much philosophical affinity with by bringing photocopied extracts from self-study material in. And there IS plenty of good stuff out there: my own personal favourite and the one I recommend to all my students is ENGLISH VOCABULARY ORGANISER by Chris Gough, but then there’s also the ENGLISH COLLOCATIONS IN USE series by CUP, the PHRASAL VERBS ORGANISER and IDIOMS ORGANISER published by National Geographic Learning, George Woolard’s KEY WORDS FOR FLUENCY series and so on. So what might teachers do with this stuff if we do decide to bring it into the class? One of the problems with doing this is obviously the fact that this stuff is all written to be done and home, checked and gotten on with. I was never designed with the classroom in mind and so fails to leap off the page in any kind of obvious way. As a little thought experiment, I’ve picked one exercise from ENGLISH COLLOCATIONS IN USE Advanced and imagined what I might do with it were I to use it to supplement a class, in the hope that it might provide some food for thought and fresh ideas for some of you. So here goes. The exercise I’ve chosen is on social issues, which I’ve selected simply because this week with my Intermediate class we were doing some work on describing changes and this came up (Unemployment has gone down a bit over recent months / The divorce rate has risen dramatically over the last few years, and so on.) Here it is. Well, the first thing I’d do is look long and hard at what language is there to be exploited so that when I was going through the answers, eliciting them from the whole class, I’d know what I wanted to focus, what I could ask the class about, what extra examples I might want to give and so on. I think it’s important that the teacher leads the class through this process BEFORE asking students to anything more personal or creative with what’s there. In class, I’d tell students we were going to look at a bit more language to help them talk better about social issues, give them the exercise and tell them to fill in the gaps with the best missing words. As students are working their way though, I usually go round and check what’s right and wrong. If they have wrong answers, I might just say something semi non-verbal and negative like ‘Uh-uh!’ and point at the offending item. If students ask about a particular item, I may give a quick contextually-relevant answer too. In between doing all this, I’d also be writing sentences up on the board, with gaps in them, to expand on what’s there on page in a minute or two. These sentences are just things I either plan in advance or come up on the spur of the moment and they’re all things that might be said / heard around the language that’s being tested. Once maybe 60-70% of the class have finished, I stop the whole class and put them in pairs, tell them to compare and then round up once I can see a few pairs have basically checked and agreed. So, number 1? Yeah, right. ADDRESS. Where’s the stress? Good. ADDRESS. The second syllable. And what how could a government, say, ADDRESS an issue like alcohol abuse? What might happen? What might they do? Well, for example, they might MMM street drinking. They might make it illegal. Right, so they might BAN it. Good. Another thing they might do is to make it more expensive to buy alcohol, so they might MM-MM taxes on alcohol, they might make them go up, so? yeah, INCREASE. And one last thing they might do is they might make it harder for companies to advertise alcohol, so they might not ban it completely, but they’ll MM-MM it. Anyone? No? The first letter is R. No? RESTRICT it. Last year they banned people from drinking on the street. It’s totally illegal now. They’ve increased taxes on alcohol again. 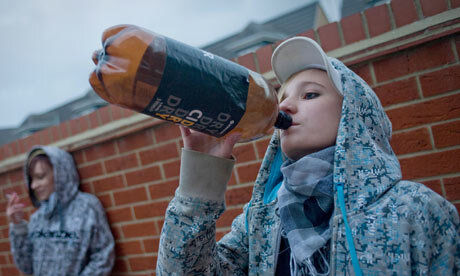 They really ought to restrict alcohol advertising, so that kids aren’t exposed to it as much. I’d then ask if anyone else had any other ideas on how the issue of alcohol abuse could be tackled – and would either accept students’ offerings, or else rephrase / reword them, maybe writing up extra sentences, depending on what came back from the class. I might also ask what other kinds of issues governments might sometimes need to address – and would hopefully get back one or two ideas from the class. The provision of emergency aid / supplies / relief in the wake of the earthquake / flooding / tsunami / volcanic eruption saved thousands of lives. Next, I’d elicit the answer to 3, and ask what happens when law and order completely breaks down. Again, I’d have already got a couple of sentences prepared to help narrow the focus and hone the input. As such, I’d ask something like this: So one thing that often happens when law and order breaks down is large groups of people go into the streets and fight the police or the army. They maybe throw petrol bombs or rocks at them, they might burn cars, that kind of thing. This is called a? Right, a RIOT. And RIOT can be a noun or it can be a verb, so here it’s a noun. OK. And another thing that often happens is people go into shops – large groups of people often, and maybe when the shops are closed, you know, they break in and then they steal loads of stuff, so they MM the shop. Anyone? Begins with L. No? They LOOT the shops. And what kind of thing might make all this happen? 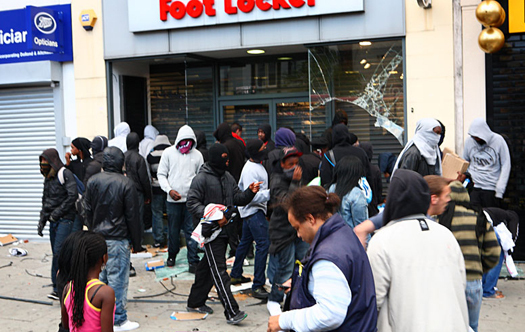 Why might people start rioting and looting? Yeah, right. It’s often when people are angry at the police because of something the police have done. And this makes the riots happen. It MM the riots. Anyone? Like a match, when you light a match, sometimes little MM fly off. Yeah, right. SPARKS. And it can be a verb too, you can SPARK riots or SPARK public anger. On the board, I’d then have this. A man died in police custody and it sparked three days of rioting and looting. The police totally lost control of the whole area. Kids who are abused are more likely to abuse others in later life. It’s a vicious circle that’s hard to break. I might also add that in lots of regional conflicts around the world, it can be very very hard to break the cycle of violence. One side kills someone, the other side seeks revenge. There’s then revenge for THAT attack, and then yet more revenge and so it goes on. It’s really hard to step out of that. The father of the murdered boys has called for peace / has made a plea for peace amidst fears that the tensions could explode into violence. 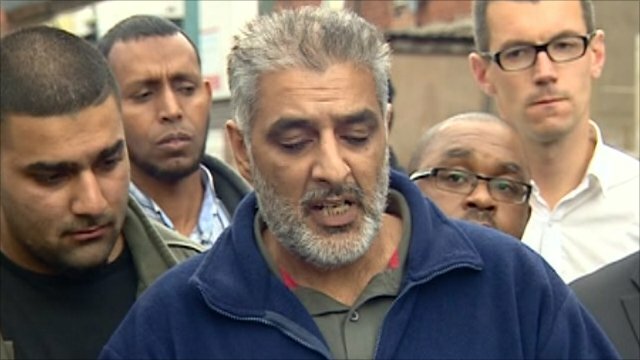 I might then tell the amazing story of Tariq Jahan, whose two sons were killed during the Birmingham riots of 2011, but who almost single-handedly prevented an ugly situation getting much worse through his calm, his compassion and his charisma. He’s some kind of neo-Nazi. He’s on trial at the moment. He’s accused of inciting racial hatred via his website and his online publications. Hopefully, this will give some pointers as to how the teacher can bring a fairly dry self-study piece of material to life in the classroom and use it to revise and recycle language students already know, to allow exposure to plenty of fully grammaticalised sentences, to connect the classroom material to the wider world outside and to provide space for students’ own ideas, theories and questions. In the next part of the post, I’ll go into some more detail about how teachers can next get students to do a range of interesting things with any kind of self-study material they might happen to bring in. Until then, I look forward to your comments and questions.